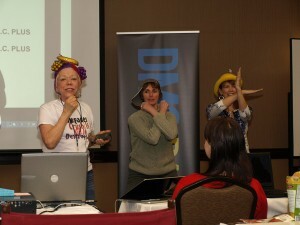 Here at the Daily Marketing Coach training and mentorship program we pride ourselves at being high touch and high help. This comes from our desire to help our members gain online marketing success. 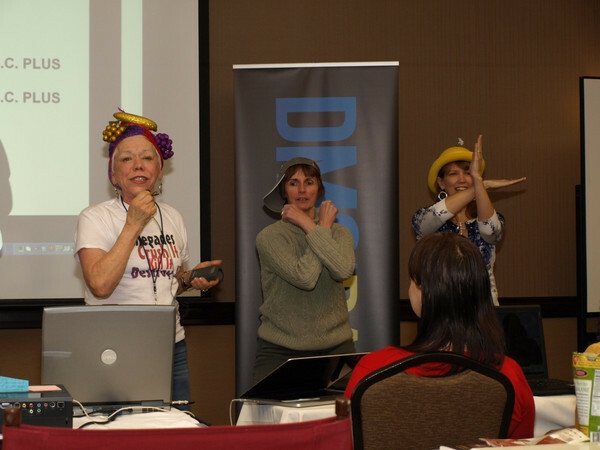 Here is Lorraine Moody performing a now classic rendition of YMCA at the first Total Funnel Immersion event. The DMC community loved Lorraine so much that Ann founded a TFI scholarship in her name. This year’s winner is Courtney Sullivan. Watch her interview with Ann below. Such is the story of Courtney Sullivan a virtual beginner when she first joined our community. But despite a beginner she knew when to take sound advice. She got that advice directly from Gary Vaynerchuk who counseled her to get her online presence built up by telling her story and specifically using the social medial outlet of Instagram. But first it’s important to know Courtney is a stay at home mom of six children who runs a sustainable farm with her husband in upstate New York. Life is grueling in Courtney’s terms but you would never know listening and watching her video interview as she relates the joys of finding an online training community that has nurtured her from beginner status on up to community trainer status. All because of a couple key attributes that Courtney talks about. Strike. She LOVES training through the Daily Marketing Coach. She loves the flexibility of being able to take it wherever she goes in her busy life as a mom and business owner. #2) Daily Marketing Coach has helped her to stay grounded. She’s busy likely as you are and it’s the DMC community that’s helped her stay 100% on task to gain bigger visibility for the legacy of her family farm. Plus, you’ll learn why Lorraine Moodie’s story is so integral to Courtney’s vision to provide healthy alternative food for the prevention of cancer. So grab a pen and paper and learn from Courtney’s success story and how she won our coveted Lorraine Moodie Total Funnel Immersion Scholarship. She’s got loads of advice that can help anyone wanting to succeed marketing their business online. Congratulations Courtney. You have an awesome business model that is so inspiring. I’ve learned a bunch from you already. Thanks so much Lisa. I’ve learned so much from you too! One of my favorite things about DMC is all the smart folks in this community. I really enjoyed your Pinterest training, and I’m really excited about your twitter training. Hi Courtney, thank you for taking the time to be interviewed as you gave me a lot to to think about. Lately I have been going through a lot of struggles. My wife and I have been facing severe financial challenges for the last 5 years. We have been working at ridding ourselves of 250k in debt and we are getting near the end of this. However just as we were making progress on this goal, about a year ago we lost our business and our income dropped to almost zero, but we are now working almost full time online, but have yet to show much financial benefit. In addition I have been battling Parkinsons for about 14 years. The disease has gotten to the point where I cannot walk much of the time and my mobility on a computer has decreased my use of a computer by about 90 percent. BUT WE ARE NOT LETTING ANY OF THIS STOP US. My challenge is that most of our FAMILY MEMBERS AND FRIENDS do not understand that we have not gotten ourselves in the situation by being reckless with our money. i woukd like to help others in the same situation . I would also encourage people to be more tolerant and understanding with their friends and family and remember – BUT FOR THE GRACE OF GOOD, THERE GO I . Thanks for sharing your story with us. I commend you on your dedication to achieving your goals. And I’d encourage you to just build on that vision and let your success tell the story to the naysayers. As I said in the interview leaning into the supportive community within the higher levels of DMC and diliagantly working through all the training has made a major difference in my life and my business. You have said it well from your experience in DMC. The training and coaching available through DMC is invaluable in showing us how to effectively build online in order to be successful, to leave a legacy. Understanding our shortcomings in marketing attempts is invaluable, at the same time being given a roadmap or gameplan. The step by step training is not easy, but certainly keeps those who are serious, who have a teachable attitude committed to the process. We are given clarity to what needs attention and how to avoid the shiny object syndrome. The mindset you have of really enjoying being a student, of being generous with the community relationships is a great model for all of us. You are deserving of this scholarship and I know you will stay grounded in your purpose and max your opportunity to learn and grow. Thank you so much Pat! It’s been great getting to know you and watching your leadership develop. I really enjoyed seeing all your videos over the winter and I love watching your web presence soar. You really know how to link arm with the best and train hard. Huge Congratulations Courtney!! What a lovely interview and it was great hearing about your story!!! Wished I lived in NY so that I could sample some of your produce!! I am actually a trained Pediatric Oncology Nurse and have spent about 12.5 years surrounded by Cancer each and every day and the impact it can have is devastating with the diagnoses and treatment etc, it isn’t pretty! I applaud your dedication to producing ways to counteract and prevent this horrible disease (C.C.K.M.A – as one of my patients had on his door! Heeeehee Cancer can Kiss my A..) I’m looking forward to getting to know you better and follow your journey! !